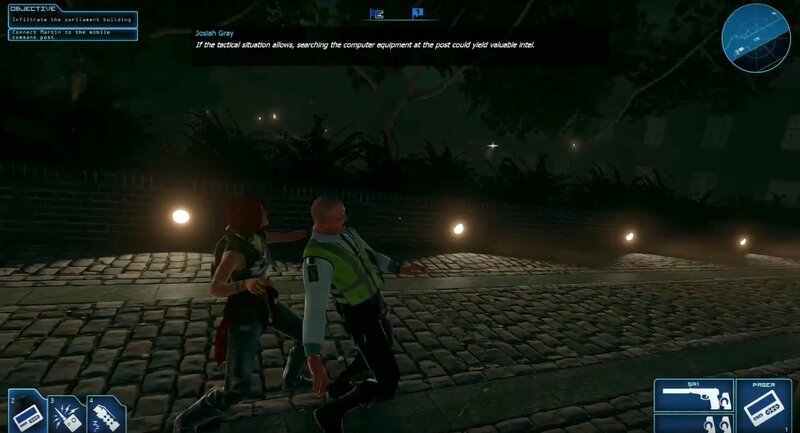 Clandestine is a two-player co-op stealth/hacking game set in the 90's that is currently on Steam Early Access, and developer Logic Artists has released a video explaining some of the changes coming to the pre-release game. According to the developer, "Spies now can use social engineering in cooperative dialogue sequences to bypass security checkpoints and gain entry to restricted areas. Furthermore the new HUD system provides better layout of information on spy’s UI necessary for smooth operation. The complete unlocked list of guns, gadgets and ammos gives players ample tactical freedom in their stealth endeavor. Likewise, hackers can now manipulate a wide array of local assets, including body removal, alarm cancellation, bribing enemies, dropping ammo and first aid. Lastly, the update introduces a new notification system in both co-op and single-player mode that allows players to more easily receive messages and see specific targets and objects of interest in the game." Check out the update explanation in the video below.